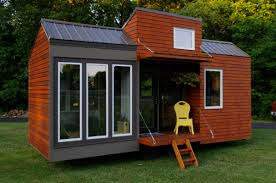 Both the modular housing and manufactured housing industries have been following the rise of Tiny Houses as an “Affordable” alternative to standard housing but this new Ordinance adopted by Forest, MS governing body spells out in no uncertain terms that Tiny Houses and Tiny Houses on Wheels will not be welcome within city limits. Look for more cities, towns and counties throughout the US to begin banning them even though there is a new provision in the 2018 IRC regulations for them. Most everyone has either seen, or read about, the very popular practice of repurposing utility sheds and storage sheds as a residential home. There are numerous television shows that highlight the growing trend of tiny homes, and do-it-yourself transformations for these low-cost buildings. When a building, that was not built to be a home, is purchased to serve as a family dwelling there are several problems that the owner can encounter. The city of Forest, through Ordinance 465, is working to clarify those problems and clearly state what the city will recognize as single and multi-family domiciles.